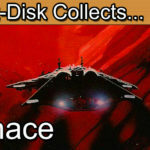 Insert Disk collects Battle Squadron for the Commodore Amiga. Today’s retro game review is Battle Squadron for the Commodore Amiga. This retro gaming classic is 100% retro gaming gold. One of my favourite games of all time, Battle Squadron for the Commodore Amiga delivers a best in class retro game on so many levels. The music, graphics and game play all broke new boundaries for the Amiga. Cope-Come’s classic hit was one of the first games that I ever played back on Christmas Day 1989. Since then I’ve been a life-long follower of the game and thought that it would be perfect to feature in a Christmas episode. Merry Christmas all and happy collecting! Greetings game collectors and welcome to today’s retro game review. Now I don’t usually put out a Christmas themed episode on the channel but I really wanted to look back at a very special game and computer system I received as a young boy one fateful Christmas so many years ago… It was the Christmas that changed the direction of my life forever. Hopefully I can capture and share some of that Christmas spirit I was given so many years ago. Picture the scene, you wake up as a 7 year old from beneath your Transformers duvet set and it’s Christmas morning 1989. Father Christmas has been and he’s decided that this is the year you will have your first computer. A shiny new Commodore Amiga 500. There would be games too. Including one of the most iconic of all time. Battle Squadron. Oh sweet Yule-tide what was this?! Life had changed forever, as music from an exciting future exploded from our wood grain TV along with images an intergalactic battle of epic proportions. It was the mission to destroy the Barrax Empire in your very own fight to save the universe. It’s fair to say that I’ve never quite been the same since. The 80’s may have been drawing to a close but the new frontier of gaming was going to be something very special indeed. Christmas 1989 was the moment I first caught the gaming bug that has remained with me to this very day. This is an actual photo of me and my sister getting to grips with Battle Squadron on that Christmas morning so many years ago. A few decades later and I still have that sense of wonder when I boot up an Amiga. Although I have to say that I rarely use my feet anymore to grip the joystick. My family weren’t exactly well-off financially back in these days so a computer in the house really was something quite remarkable. Looking at the box it’s clear that this game is going to be something special. It’s dramatic scene in neon colours wraps around the box and lets you know that this is going to be great. The back of the box lets you know that the game is going to have some variety as it shows off the various aliens environments. Inside the box you get the 3.5 inch floppy and a rather standard manual. Overall it’s a nice package and sits well on the shelf. If you need an iconic artefact from gaming greats of the 80’s then this is it. Everything about the physical packaging is on point and sells a coherent story. The manual has all of the relevant information you’ll need to jump in to the largest fight of your Amiga career. The shoot ’em up genre was reasonably well established by this point in time. Midway’s 1942 , Toplan shooter series and Battle Squadron’s own spiritual predecessor Hybris had all laid the groundwork for the genre. Battle Squadron just perfected it. Bigger, brighter, faster and just all-round ground-breaking Battle Squadron was what all gamers hope for, an instant classic. Everything else just looked and sounded like a relic from the past in comparison. The game allows two players simultaneously to fight the oncoming ranks of enemy fighters. There’s turrets, strange alien craft, organic monsters and a tirade of oncoming bullets. All this set to the backdrop of outstanding digital music that defined the Amiga. As with most games of this nature your ship stars out with a standard strength shot that can be powered up by collectables. These include an orange shot for wavy fire, a red shot for wide area damage, blue rays for rear shots and green lazers for a narrow but powerful attack. These powerups can be obtained by shooting down groups of enemies that appear periodically. The power up system allow for a variety of play to keep the gameplay fresh yet challenging. If all goes wrong you can always hit the nova bomb to release a screen clearing attack. Ideal for those moments when the Empire throws everything at you of you find yourself trapped in to a corner. My goodness is this satisfying. The enemies have interesting attack formations and the game seems reasonably balanced even if it is a little on the difficult side. I would highly recommend an auto-fire joystick for this one as you are going to give your button finger some serious punishment whilst playing through this one. As you might expect the game also throws boss fights at you. After navigating through the over world you must then travel in to various openings in the ground to get to the planet core. At the end of each section you duel it out with the boss. Defeat all six bosses and you destroy the Barrax Empire. Graphically the game is a triumph. Compared to 1942 and even its predecessor Hybris Battle Squadron looks to have taken several generations leap forward in presentation. Scrolling is clear, enemies are well detailed and the planet really feels like a living breathing place. Martin Pedersen who co-wrote the game used cutting edge techniques for the time to create the best experience possible. Small touches such as creating semi-invisible enemies all took the game to the next level. What may appear simple utilised a technique called blittering to achieve the effect. This was a game that was lovingly created and polished to perfection. When alien crafts are destroyed there are not just simple explosion animations but also a flashed that cover the background. It really sells the story. In terms of audio this may be my favourite in-game soundtrack of all time. Everything has a sense of uplifting beat and really adds to the urgency and drama of the war. The title music remains one of the most iconic of the era and is still commonly remixed by fans decades later. The sound effects too are also very clear and well developed. With shooting games it would have been easy to recycle sounds over and over again. However, each weapon has its own sound and the power up and collision sounds are all spot on. In terms of criticism I really can’t find much to fault. On some of the later levels the spaghetti style background can get a bit confusing as the orange projectiles are a similar colour. The difficulty could be an issue for some players but it’s certainly not a “bullet hell” scenario. Some of the bosses require quite a lot of bullets and also spam rather unpredictable shot patterns which makes the game quite challenging especially if you have lost your powered up weapon. It’s actually nice to see this in a way though as you can see the origins forming that would later lead to more modern shooters. The critics agreed. Across the board gaming magazines of the day queued up to award near perfect scores to the game. Amiga Computing awarded the game a score of 109%. It’s a score that has gone down in legend. It was a game so good it redefined what the shooter genre could be. Martin Pedersen was not alone in creating Battle Squadron. Martin may have led the coding aspects of the game but it was Torben Larsen that was in charge of creating the graphics for the game. The combination of Martin and Torben lead to a very special end product. Such was the success of this basically homebrew game that larger publishers wanted a piece of the action. In 1990 Electronic Arts released Battle Squadron on the Sega Mega Drive under licence from Innerprise. With such a fundamental foundation of using the Amiga’s strengths as well as Martin and Torben though, how would EA ever get a decent port of this game? Well, the Mega Drive manual gives us an explanation of how Martin came on board with EA to personally help with the conversion. From my research I also believe that Torben also took a consultancy role in helping with the graphical conversion of the game. Interestingly the Sega Mega Drive manual only focuses on Martin with a mini-biography at the start. From what I can see Torben is only mentioned in the credits under “Game Design” and “Game Graphics” section. They also appear to have miss-spelt Torben with an “I” rather than an “E”. 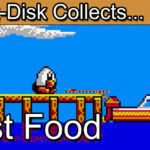 The end result for the Mega Drive? Well if I’m honest I was prepared to dislike the conversion but I have to say it’s as close as you can get considering the different chip sets between the Amiga and Mega Drive. The sound chips in particular being the most different. Rob Hubbard’s conversion of Ron Karen’s original musical masterpiece remains remarkably well intact considering the Mega Drives less than perfect record for sound design. Having said that, Battle Squadron remains a very strong contender on the Sega system. This really isn’t a bad conversion at all. Purists though will tell you that an original Amiga disk on original Commodore hardware is the only way to enjoy a full hit of nostalgia. Now, you’re wondering. What’s it going to cost to get this in your collection? Well, recently a PAL territory Amiga release has gone anywhere up to £100 on Ebay. I do see this game rising in price though as it is a genuine landmark game that serious shoot ’em up collectors really need to own. As an alternate you can pick up the Sega Mega Drive port for around £10. For those with newer technology there’s also the IOS release of “Battle Squadron One” for those looking for a quick fix. Surprisingly it was only after all these years later that I actually sat down and completed this game end-to-end for the first time. The game does boast some supremely difficult moments so it’s great to finally defeat the Barrax Empire after all this time. 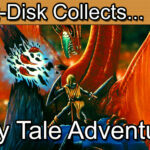 For your viewing pleasure I’ve shared my long play video on the Insert-Disk gameplay channel. What really got me was the end credits. Battle Squadron was developed in 8 months by Martin Pedersen and Torben Larsen after having developed Hybris. At the time Martin was just 18 and Torben 21 years of age. This is just mind-blowing. The credits even state “Greetings to my family – my friends – especially at my school”. That’s right, Battle Squadron was written by a school-aged coder. I’ve seen some great accomplishments in my time but Battle Squadron has to be a shining example to showcase the skill of young minds. For those that delve in to the Mega Drive manual you’ll get an even fuller story of Martin. Quite frankly this is amazing stuff. The credits also give you some interesting stats around the technical specifications. The music for the game? Just 150kb! Whether your memories of this game are powered by nostalgia or not you have to give credit where credit is due. These guys really pulled of something special here. That’s right, for the hard-core fans that never lost faith, Battle Squadron finally made it’s triumphant return on to PC, Amiga OS4 and MAC for a whole new generation to enjoy. A reworking by the dream team of Martin, Torben and Müßener. The team was back together and so was the perfect game play. The game remains largely unchanged but there are new graphical enhancements to the opening scenes. For those that appreciate the game this is the perfect way to round out your collection. Now, Cope-Com could have just put out a really simple release for a quick cynical buck. Instead though what we got was a really well thought out release. The outer packaging is really well presented, the disc in full colour and even a thank you note. On the disc you find the game arranged for PC, Amiga OS 4 and Mac along with a full PDF manual. You’ll also find an extra folder containing a demo, music, pictures and videos. For those that search further there’s also lots of other bits and pieces such as sound effects and some of the original sprites. For a long-time lover of the game this is just priceless. This is where it all began for me so it’s more than just a trip down memory lane, it’s a pilgrimage. As you might expect the game has had somewhat of an overhaul. You can now adjust between 50hz and 60hz, change speeds, scrolling, auto fire, scan lines, a retro mode and overall a really decent array of options. I’m really pleased to report that the PC version of Battle Squadron was everything I wanted it to be. You can play the game with the new additions such as the achievements and extras or simply lock it down to the original settings. This is not a reinvention of the game, this is a revival. The original Amiga release of Battle Squadron was already perfect so don’t expect to see any dramatic changes here. The re-release of Battle Squadron is a best in class example of how to treat a classic game with respect and testament to Martin and Torben’s belief in the project. My final verdict on this one is that Battle Squadron is a must own game for Amiga owners and shoot ’em up collectors. It’s simply the pinnacle of it’s age. The price point may put some off. I’ve been playing this one since 1989 though so I think the value for money is built-in. As one of the first games I ever played in my own home I have some really fond memories of this one and I can’t imagine my life with retro games (or brand new as it was then) without it. Perhaps above all shooters of the 80’s it was Battle Squadron that started my love affair with the shoot ’em up genre, the Commodore Amiga and gaming in general which makes this a very important game in my collection. Battle Squadron is a game that represents so much for myself and other gamers of the 80’s. 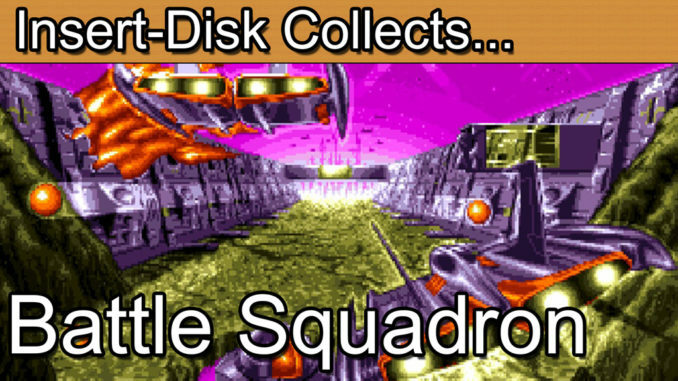 With its slick graphics, powerful upgrades and rocking soundtrack Battle Squadron has stood the test of time. If you can afford to collect this one I can highly recommend it. As a young boy It made my Christmas in 1989, been a solid go to game throughout my life and it has recaptured my enthusiasm again nearly three decades later. This really does feel like the Christmas gift of past, present and future. I’d just like to say a huge retrospective thank you to Martin, Torben, Ron and everyone that made Battle Squadron if you ever happen to see this episode. Until next time have a great Christmas and Happy Collecting!